Windsor Driving Test pass for Annabelle Taylor Another great result, this time for Annabelle Taylor from Windsor. 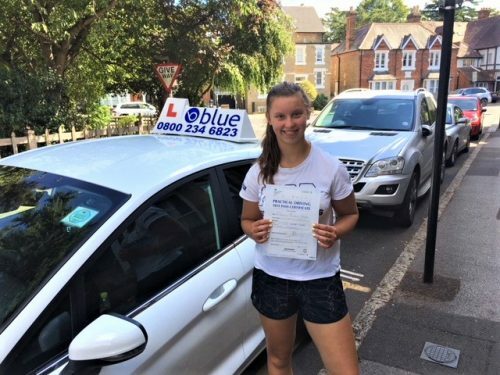 Annabelle passed her test in Chertsey this afternoon with just 4 driving faults. The test included a parallel park and following road signs for the independent drive element. 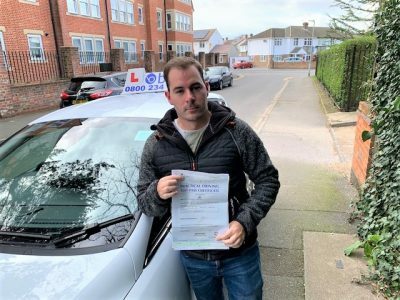 All the best for Andy Shrimpton your driving instructor at Blue. So why is the 2-second rule so important and why should we use it? Well, most of us realise it takes time and distance to stop our vehicle when we are moving, but many drivers fail to recognise the length of the space we actually need. 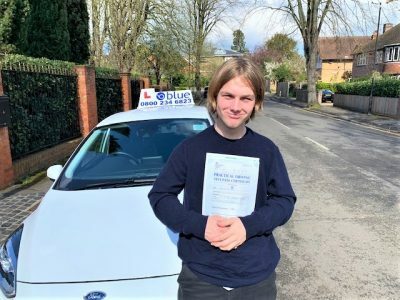 Proof, if it were needed, is given annually in ‘Road Casualties Great Britain’, in which it is reported that whilst there are ‘only’ 270,000 casualties per year, there are more than 4,000,000 insurance claims annually in UK alone; worldwide there are more than one billion crashes annually.